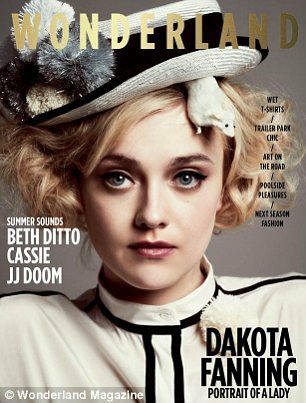 At the age of 18 actress Dakota Fanning has built up a reputable Hollywood career without all the negative publicity and tabloid spectacle that usually surrounds young actors. In the April/May 2012 issue of Wonderland magazine the 'Twilight'actress shares how she remains grounded and out of the limelight. ‘I really don't need to let people know where I am and what I'm doing. I feel like a lot of people want their privacy but yet they tell people where they are. What do you think of Dakota Fanning's Wonderland magazine photos? Leave a comment below.